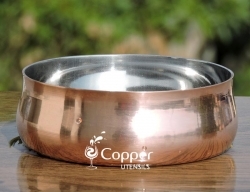 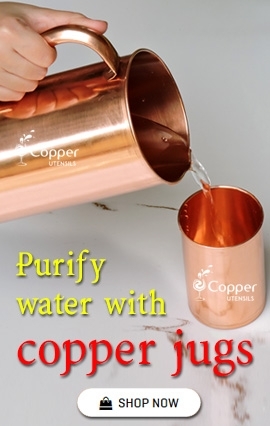 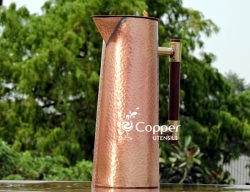 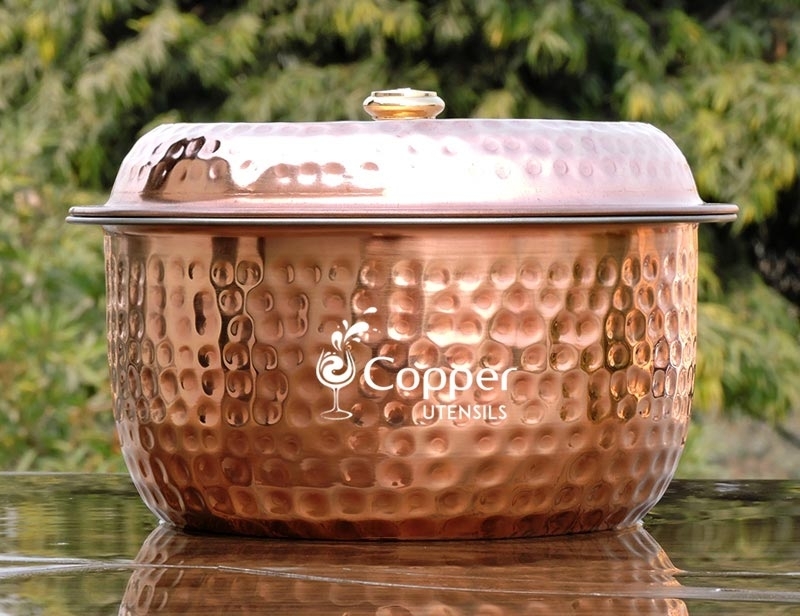 Casserole pot with lid made of copper and stainless steel. 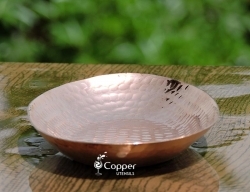 Shiny hammered exterior for added beauty. 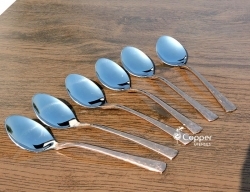 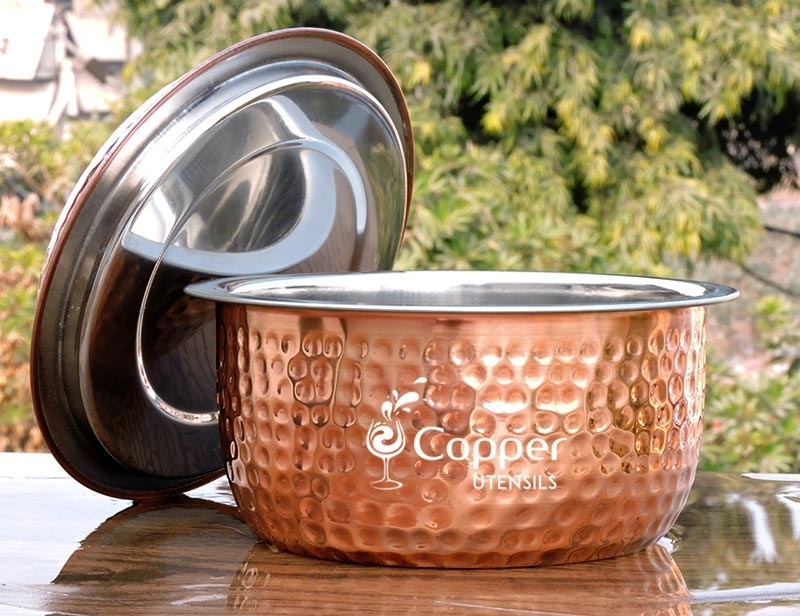 Ideal for serving curries, gravies, rice, etc. 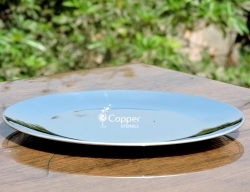 The perfect dining experience is not only about eating some deliciously prepared food but is also about serving it beautifully. 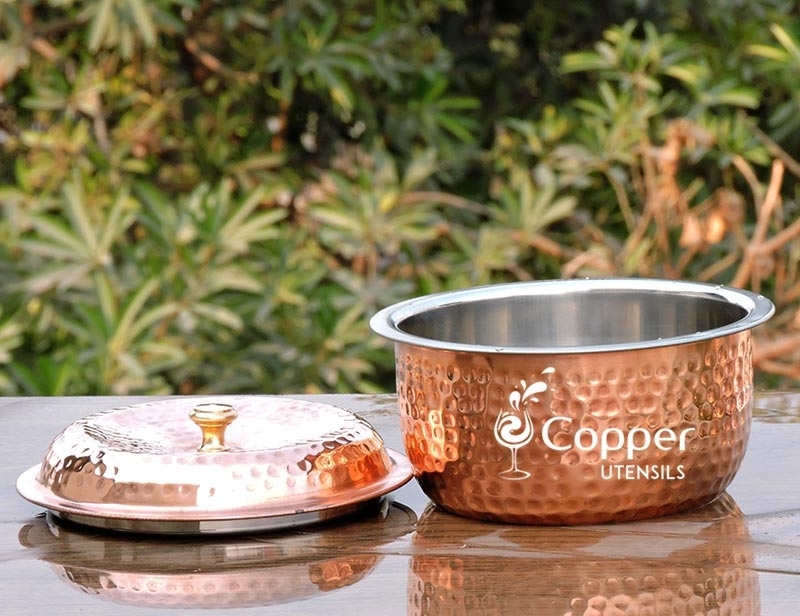 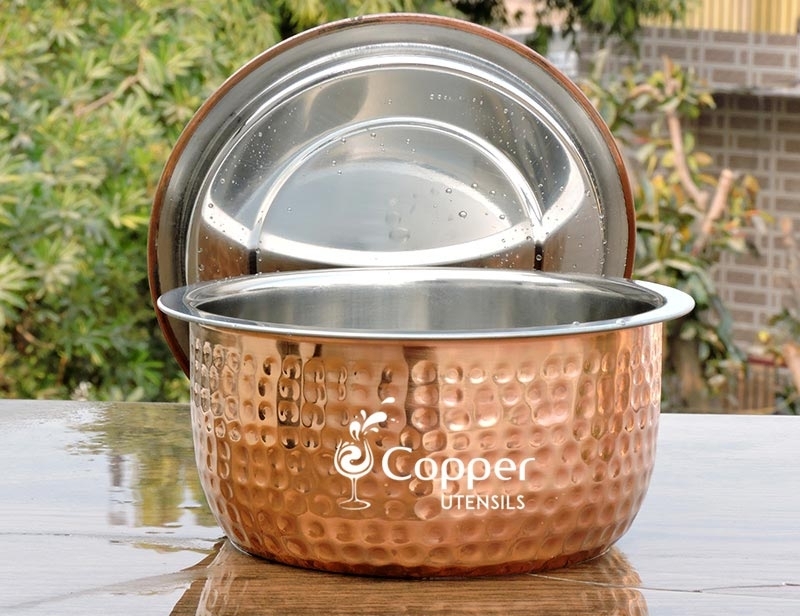 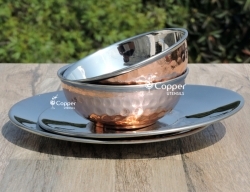 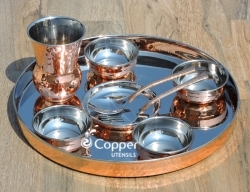 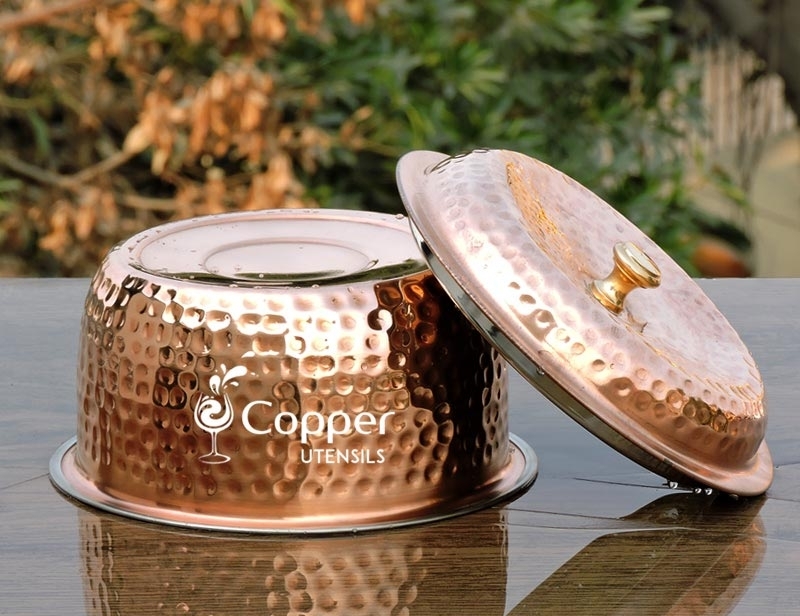 Our copper and stainless steel casserole with lid is the ideal one for serving food to your guests in style. 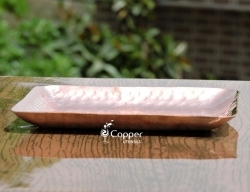 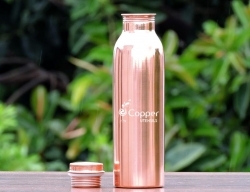 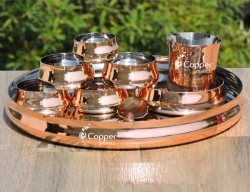 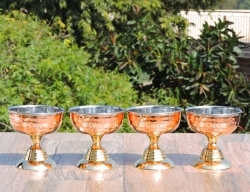 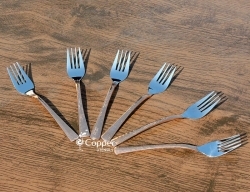 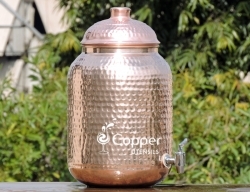 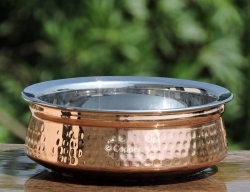 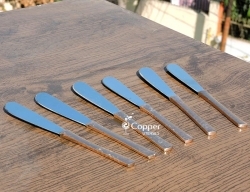 The casserole is made of pure copper on the exterior and stainless steel on the interior. 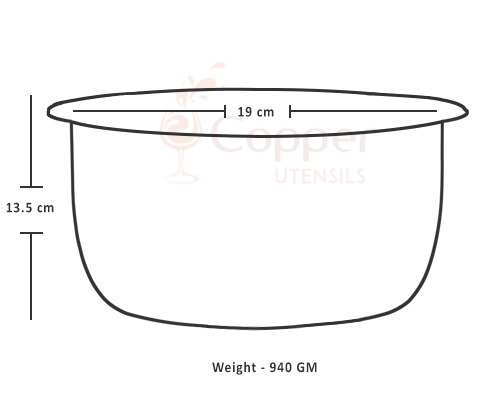 The casserole is accompanied by a well fitted matching lid to keep the contents warm for a longer duration. 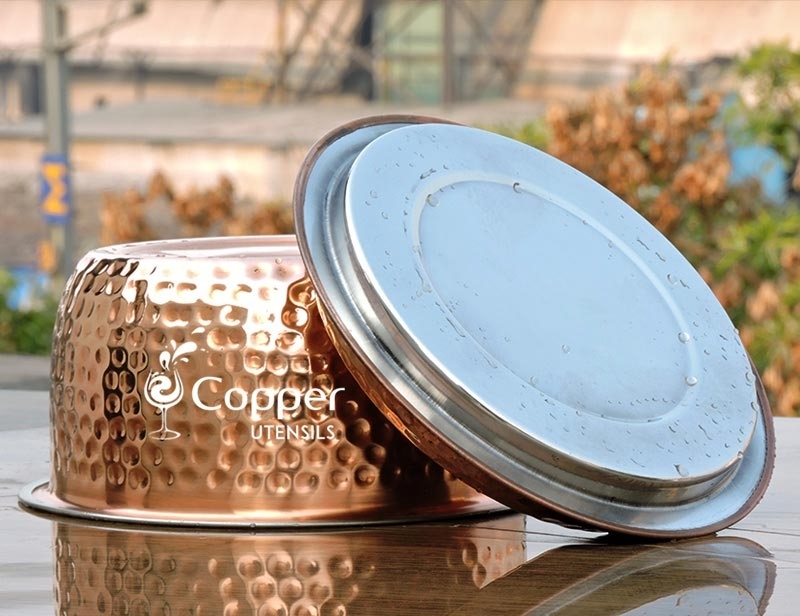 The shiny, hammered exterior of the casserole adds to the beauty of the product and will surely add a lot of aesthetic value to your dinner table as well.